It's September 5th. You might have one eye on the political landscape or the start of football season. But the Yankees have had one eye over their shoulder, where the Orioles have moved from 10 games back to a flat-footed tie for first. All while the Yankees do their best September impersonation of the New York Mets. It's September 5th. And for the last 14 seasons the O's average AL East deficit on this date was 22 games behind. The only reason to watch the Birds late in the season was to see if they could spoil anyone else's success - which is exactly what they did September 28, 20011 - when they came back with 2 outs in the 9th against Jonathan Papelbon and knocked the Red Sox out of the playoffs. That precipitated the ultimate domino theory with Boston revamping their entire managerial structure, which led to the trading off of their most expensive players a couple of weeks ago. 1997 was the last time the Orioles made the playoffs, losing a classic ALCS to the Indians. And to lend some perspective to how long ago that was, the Indians were in that series because they defeated the Yankees and Mariano Rivera in his first season as the closer. In 1997, the O's lineup featured a still-steady Cal Ripken, Hall-Of-Famer Roberto Alomar, would-be Hall-Of-Famer Rafael Palmeiro (whoops), and an awesome 1-2 punch at the front of the rotation with Mike Mussina and Scott Erickson. In 1997, the O's were still the most prominent thing in Baltimore. The Wire was just a spark in David Simon's head while Homicide: Life On The Street was playing out the string. And Ray Lewis had not yet been to 13 Pro Bowl or led the Ravens to a championship. 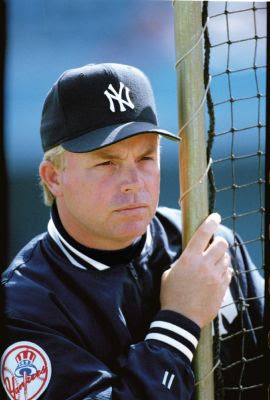 Now in his 3rd season managing the Orioles, one-time Yankee manager William Nathaniel "Buck" Showalter III, has a team that may be ready to take down the team that had groomed him and later washed their hands of him. Tomorrow begins a 4-game weekend set at Camden Yards. 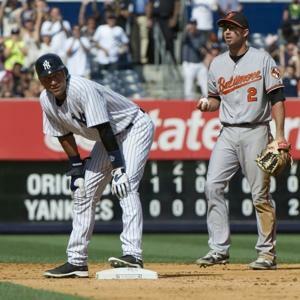 After that we'll know how real the Orioles are, and if the Yankees can get off the mat.